I plan on running two amps. I have an Alpine MRP-M500 for my sub and through my research it looks like I can just buy a harness to connect the rear speakers to my speaker level output on my amp, run my power, ground, remote, and I have a sub. What's not so clear is amping the stock interior speakers. I want to use the stock head unit, but I've yet to find a step by step guide or parts list for this. With my old car I just switched out the single din head unit and got new speakers and presto, 55w per speaker. If I buy another 4 channel alpine amp for the interior speakers, what else will I need? How do I hook it up to my stock headunit? If this has been answered please post a link. The search function is like google. If its not on the first page it might as well not be there. Jk. I searched and didn't find a good guide. A lot of people talking to other people who knew what they were doing and skipping steps. I'm a noob. I have a 2011 SE. Thanks. you'll need the 2006+ Accord speaker adapters for front and rear. The car has 6.5" speakers front and rear. to use the stock head unit you'll still want to retain fader. the best option is to get an interface adapter that accepts the stock outputs and provide RCA inputs with bass restoration. Audio Control LC7i is a nice choice. That will also generate a remote turn-on since the stock deck doesn't have one. you can intercept the stock wiring for the front speakers behind the dash. you can snag factory speaker outputs and also use this to intercept the speaker wires feeding the door to save you running wire through the door plugs. Crutchfield will include all of the instructions you need if you buy the speakers/amp from them. So... I'm assuming the signal goes to a factory amp behind the glove box or something and then speaker wire runs to the interior speakers? Correct? In order to use the audio control LC7i, will I have to cut the wires running from the head unit to the factory amp and run them to the LC7i? My LC7i then gives me RCAs I can run to my Alpine 4 channel amp. After that, cut the factory speaker wire going from the factory amp to the speakers, leave the wires connected at the speaker, and pick them up to run to my Alpine 4 channel amp? Is this what you mean by "intercept"? 70-1729 and 71-1729 harnesses will prevent the need to cut any wiring. you have the 2011 SE, which doesn't have a factory sub, correct? I don't think you have an external amplifier - just the head unit. I haven't torn into an 8th gen.
Also, Metra has dash kits if you ever want to replace the head unit for modern features. Last edited by keep_hope_alive; 10-10-2014 at 08:57 PM. i found this info for an 8th gen. start by verifying if your model has a factory amp. be sure to share pictures. I ordered an audiocontrol lc6i and installed it. I will attempt to fill in the gaps for others who, like me, read and read but never got the entire story about how to install the lc6i. 1. The factory amp is behind the glove box in the 8th gen accord. Empty your glove box, then push the two sides of it at the top and it will open all the way down. You can access your cabin air filter there also. Look toward the right and you will see a black box with two sets of wire plugs in it. 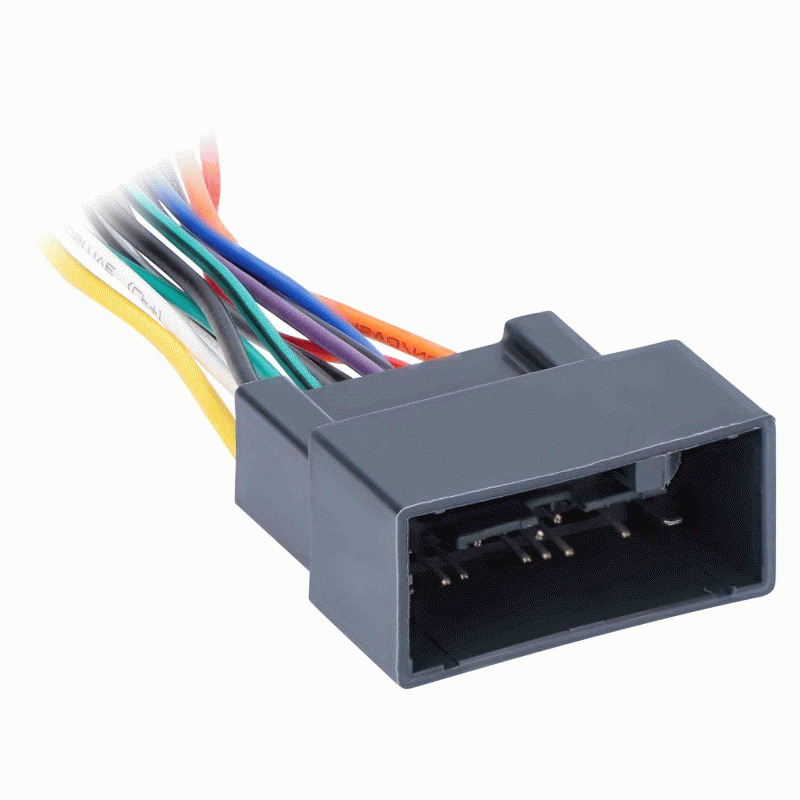 The one closest to you, with the thicker wires, is the one you need to splice into in order to connect your lc6i. I identified the wires based on info from another thread. 2. I wanted the lc6i to be in trunk, for easy access, and because the rear and sub outputs are already there. So I only spliced into the front left and front right speaker wires. They are -FL: +Dark Gray / -Purple, -FR: +Pink / -White. 3. Pull apart and cut off electrical tape from the two connecters until you have enough length to splice the wires. Cut the four wires mentioned above, strip them, and connect them to speaker wire which you will run to your trunk. The side of the wires closest to the plug are your "source" wires, which you will run to your main input on lc6i. The side of the wires that goes toward the radio are your "speaker/output" wires, which you will connect to your own amplifier, also presumably in the trunk. 4. You can pull up the plastic trim where the door meets the car, and run your speaker wires under that. Be sure that your amplifier power wires are not also run here, as it could cause noise on the wire. Also it is a good idea to mark the four wires so you dont mix them up and waste time. 5. Continue to run the wires through the trim in the rear as well, then under the seat cushion and finally into the trunk. Do not be nervous about removing the trim, as long as you are not too rough, you will not damage them and they should snap right back in. I zip-tied the wires along the way just to keep them from escaping in the future. 6. Connect your source left and right into the main input on the lc6i. You can also connect the rear speaker outputs and sub outputs to the lc6i. I chose the "sum" the signals and let my amp crossovers do the frequency filtering. To identify which wire is Positive or Negative, just face the speaker plug towards you, and positive will always be on the right, negative on the left. You can use speaker adapters if you want to maintain the factory speaker plugs. Once you have the lc6i in place, you will no longer have filtered frequencies going to your speakers, or rather you can filter them to your liking. I hope this helps someone accomplish this goal more easily in the future! Last edited by keep_hope_alive; 10-10-2014 at 09:19 PM. I'm not worried about that anymore. That wasn't my question. 1. I'm assuming all the speaker wires in the stock radio harness are outputs along with the ground and that the power and remote are inputs. I see the LC7i requires ground, 12V and remote in. I can ground in my trunk elsewhere, but can I splice the 12V and remote from the from the harness and run them from car to radio/LC7i? 2. I'm going to be mounting everything in the trunk. Do you know where I can get much longer leads already color matched in the bundle so I don't have to buy each wire itself? 3. Since the LC7i will be in the trunk, and I will be running power down the drivers side, is it ok to have my pre amp speaker wire going to the LC7i running in the same channel as the amped speaker wire signal I will be running back to the radio harness? 4. For my sub, I have a mono Alpine MRP-M500 amp that accepts speaker level input. No problems splicing into the rear speakers after the signal has been amped? Can I possibly use my LC7i for the sub even with only 2 inputs, front and rear? Any help is appreciated. I plan to do this in the next couple weeks. I've installed a few Subs before but again, that was on aftermarket head units with RCA outputs with the amp in the trunk. Pretty simple. 1. Looks like I don't need remote in, signal comes from the speaker inputs to turn on and gives me remote out I can run to both amps. Liking this thing the more I read about it. Still not sure where I should get power from. 4. Looks like the LC6i had a feature that allowed 4 channel input to be 6 channel output which would give me signal to my sub. No need to splice from rear speaker wires. Very helpful. 1. get power from the battery. you need a dedicated power wire for amps anyway. when i need a switched ignition i tap the factory deck ignition wire and wire it to a relay coil - the contacts provide switched ignition that is isolated from the vehicle wiring. 2. you can buy bundled wire with multiple conductors. 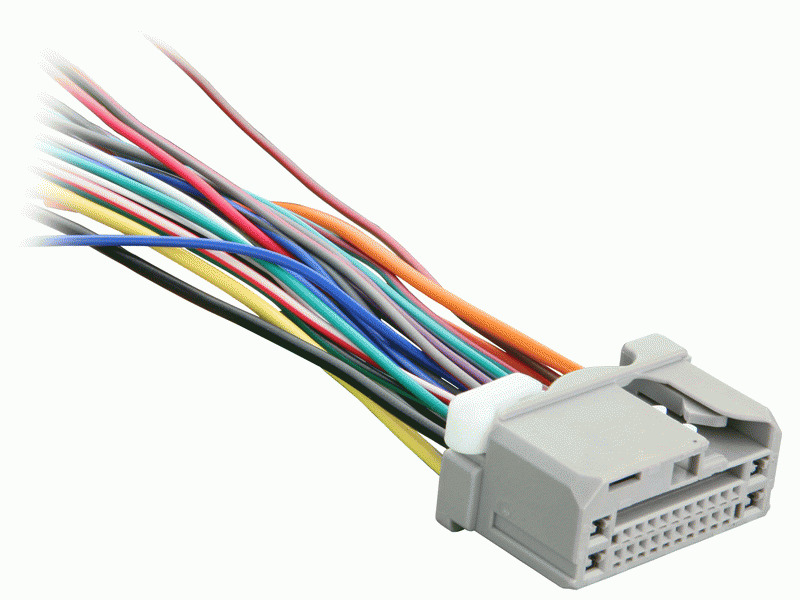 called "speed wire"
3. you can have two runs of speed wire for input/output. 4. yep. that's why it was a recommendation. Quick Reply: 8th Gen amp speakers guide?